Solo show, Gallery Rob Koukijs Amsterdam, Holland. 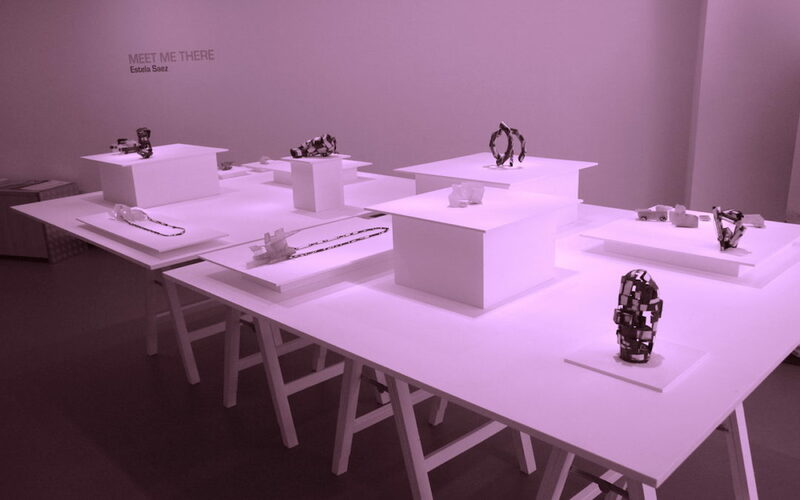 “Sculpture and jewellery are in line with each other: both media manifest themselves as three-dimensional objects made from materials like metal, wood or plastics. The jewellery piece is usually distinguished by its dimensions and the fact that it might be worn. However, this is not the case with the work of the Spanish artist Estela Saez. Notwithstanding the smaller scale, her pieces have an exceptional monumentality and expressiveness. With some pieces, wearing them should be understood in the sense of taking them with you: to carry them in your hand. Saez’s visual language is akin to the austere Spanish art of the past century: the ‘matter paintings’ of Tàpies, Saura’s intense portraits, and the archaic power in the sculpture of Chillida.